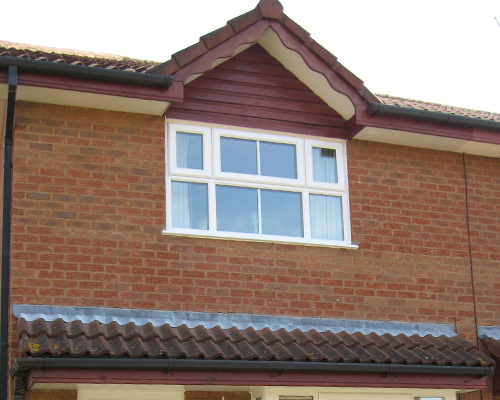 At Warmseal Windows in Gloucester we offer customers the opportunity to order and purchase PVC roofline products such as soffits, gutters, fascia boards and other roofline products. We can offer these products as a ‘supply only’ product or can we can ‘supply and fit’ depending on the requirements for the customer. 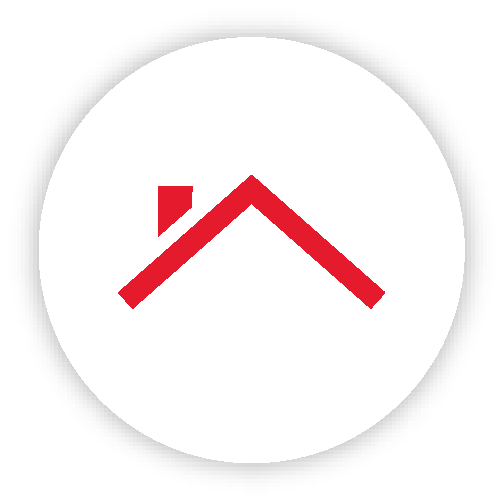 The fascia board is the long straight board that runs along the lower edge of the roof. The fascia is fixed to the roof trusses and usually does all the work of supporting the bottom row of tiles and carrying the guttering. 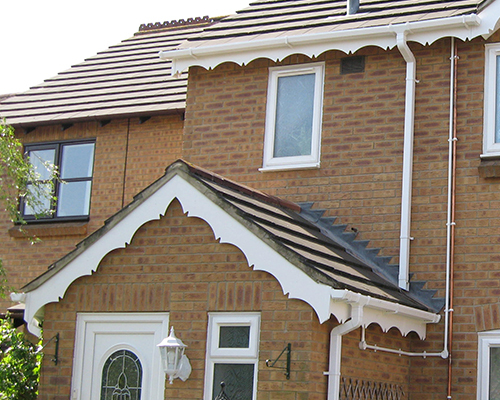 Guttering is attached to the fascia board and is designed to catch any rainfall and direct it to from the gutter to the downpipe, and down the face of the property to a suitable drain. The soffit board is tucked away under the fascia board, and is the board you are most likely to see from street level. The soffit can be ventilated to allow the flow of air into the roof area, however the more common way these days is to allow ventilation over the top of the faschia board. Without adequate ventilation, condensation will form in the roof void increasing the risk of timber decay. This is the board that is used on the gable end of the property. 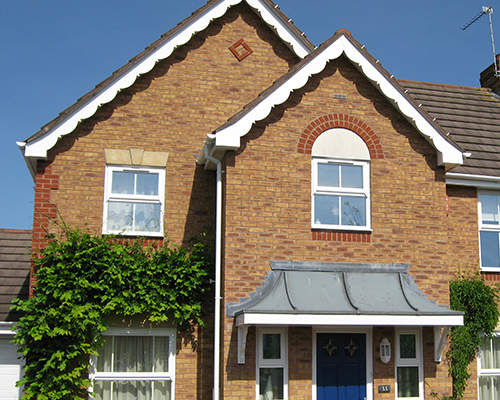 The bargeboard is very visable and its condition can often make or break the look of the house. The boxend is a work of art, accommodating as it does the many different angles planes and heights of the fascia, soffit and bargeboard at each corner of the house where there is a gable end.